It leaves no sharp edges – and the lid can be reused. Genius! 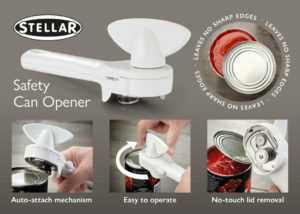 The new Stellar can opener (SA55) is taking can openers to the next level! Uniquely, it creates tin lids too, surely one of the most useful byproducts. With simplicity and ease of use at its core, it will self-lock onto the top of the tin, and will cut round all its edges, leaving you with a smooth can and reusable lid. 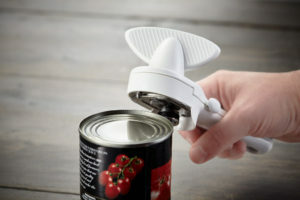 We believe it to be one of the easiest and safest tin openers on the market.